Now you see them, now you don’t. 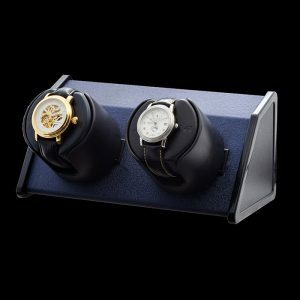 Keep as many as 40 automatic watches fully wound and have them on display or completely hidden from view. 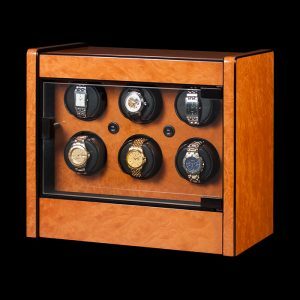 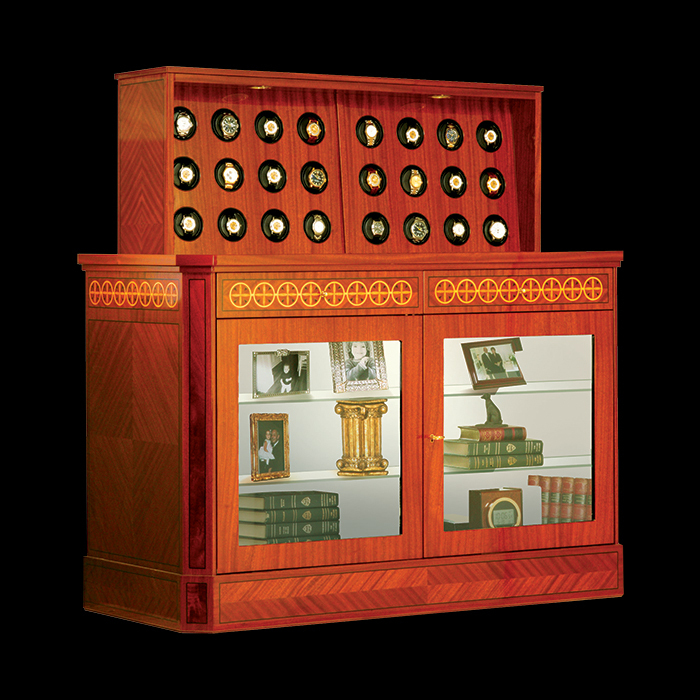 The elegant Italian-made cabinet houses a remote controlled motorized lift mechanism that raises and lowers the complete watchwinder system on command. 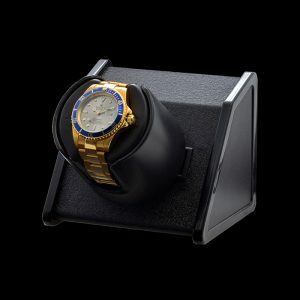 In the lowered position, watches continue to be wound as programmed. 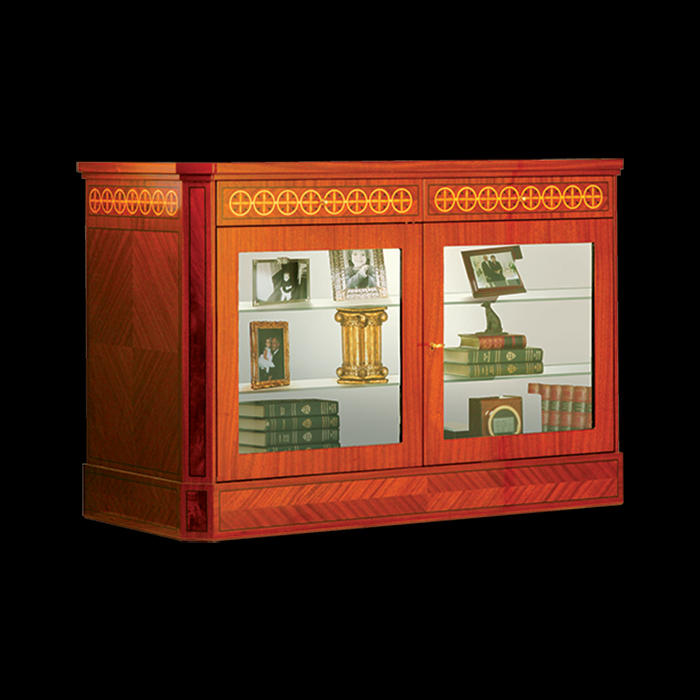 Glass doors provide no hint of what lies behind the false mirrored panel inside. 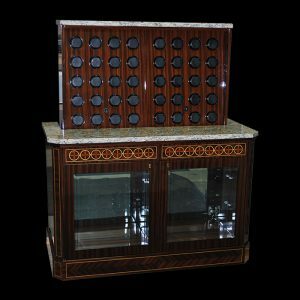 This model features a combination of winding technology, with 20 of our original Programmable winders to go along with 20 of our critically acclaimed Rotorwind winders. This item has been discounted accordingly, due to extremely fine cosmetic imperfections.